Hackers never sleep, we all know this. However, it appears that the number of hacking attacks has increased lately, with more and more Windows users reporting such events. Hackers are smart people, and they use a variety of methods to access your computer: they send you emails pretending to be from Microsoft’s Support Team, or they simply call you to offer you tech support. Another common modus operandi are the tech support scam pop-ups, informing users their systems are at risk and immediate tech support is required. Oftentimes, these pop-ups appear “at the right moment”, when your computer isn’t working really well due to various issues. This coincidence makes the tech support scams even more reliable and unfortunately many users take the bite. If you ever receive such tech support pop-ups, you should never ever use the contact information they provide you with. Instead, take action to remove these annoying tech support scam pop-ups. The majority of these scam pop-ups run an active script, locking up the browser. The script displays the fake alert window every time you click on the X button or on the OK button, preventing you from regaining access to your browser’s graphical interface. 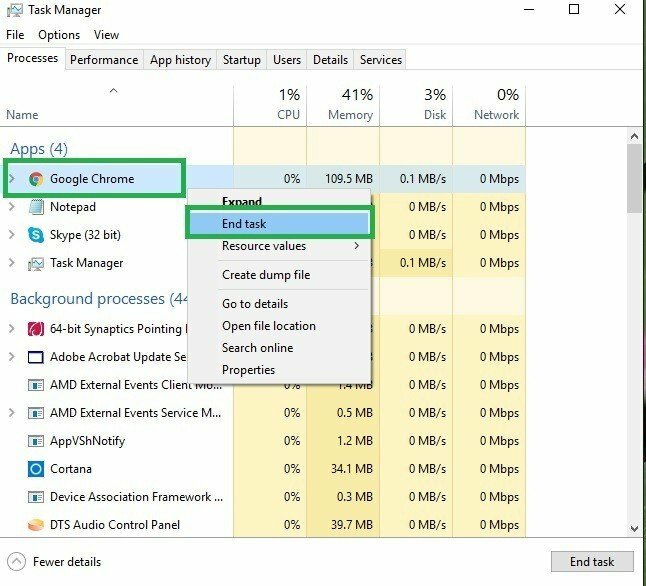 Right-click on the taskbar > select Task Manager. Select the browser app > click the End task button. 3. Install one of the following antimalware programs listed in our “10 best anti-hacking software for Windows 10″ article, and perform a full system scan. We suggest you first install Malwarebytes Anti-Malware, HitmanPro or Spybot Search & Destroy. Since all the anti-hacking software we listed in our top 10 article use different malware database signatures, we recommend you run a scan using at least three of them. This should be enough to detect and remove any unwanted software or browser hijack programs. Disable the previous anti-hacking software before installing a new one to avoid possible conflicts. 4. 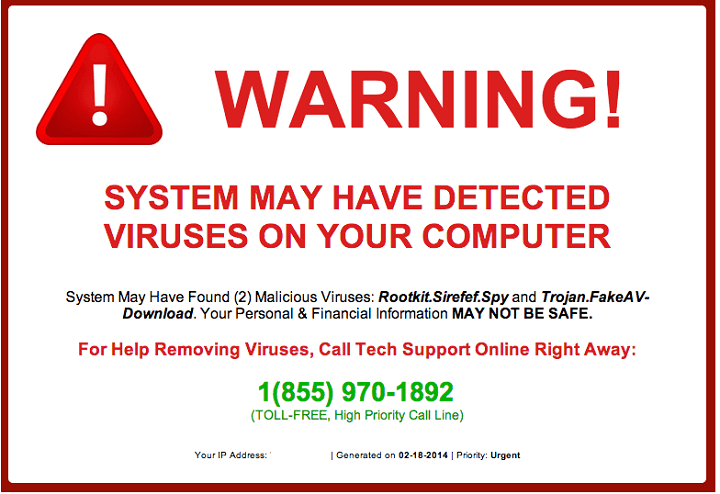 Install a specialized antivirus program for browsing to block future tech support scam pop-ups. Since prevention is better than cure, beware of the following phone numbers and websites, which are used by hackers for their tech support scams. For extra anti-hacking protection, don’t forget to enable the real-time protection feature on your antivirus, and run an anti-hacking program at the same time, one which doesn’t cause conflicts with your antivirus.